You know, you really don't need Photoshop to get a gradient to look nice. 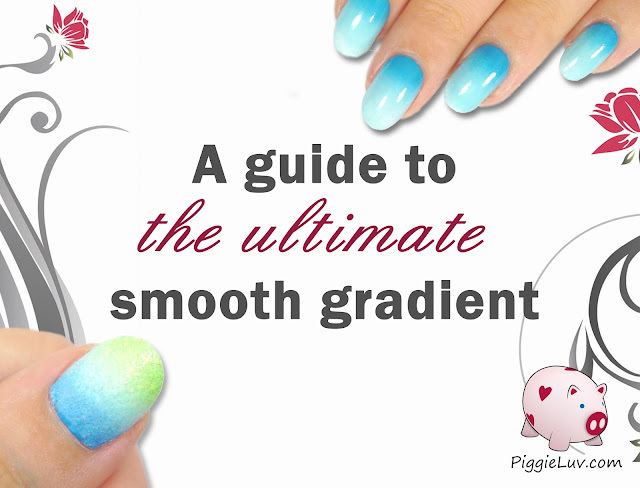 Have you tried making a smooth gradient just like those awesome nail bloggers do, but failed? Have you ended up with weird patches, bald spots, or even bits of sponge sticking to your nail? I sound like a brochure right now but go with it for a bit... I will teach you all of my tips & tricks to get your gradient to look REALLY nice, and to solve all of the above mentioned problems before they even arise. All will be explained in the video tutorial below. By the way, the accent you're hearing is Dutch because I'm from the Netherlands :) Have fun watching and let me know if you have any questions! Guest post on Nail Crimes!